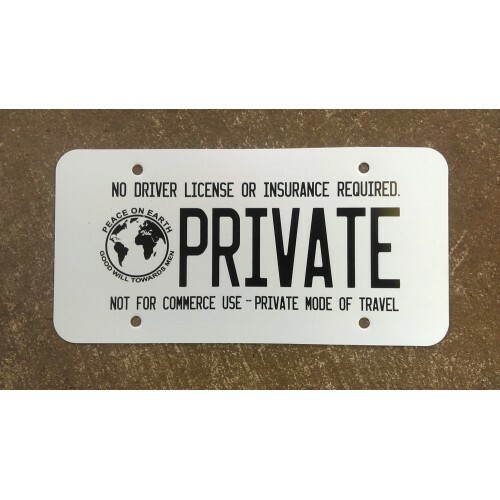 NEW 4"x7" MOTORCYCLE PLATE REPLACEMENTS NOW AVAILABLE! Sometimes the pirates steal our personal private property (confiscation of plate replacements). 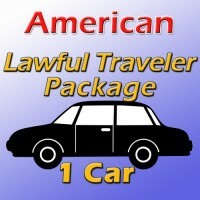 That is why we are offering this "license plate replacement" replacement package. License plate replacements. Just choose how many you want and add them to your cart. Pricing is per pair. 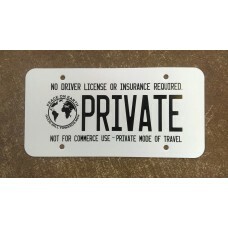 (Made from heavy duty aluminum that are made to fit perfectly where your old plate went). 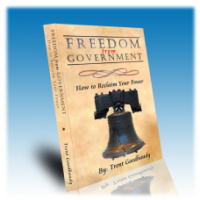 NOTE: The SURETY BOND and DECLARATION of POLITICAL STATUS DOCUMENT, and PUBLIC SERVANT QUESTIONNAIRES are NOT INCLUDED IN THIS PACKAGE. 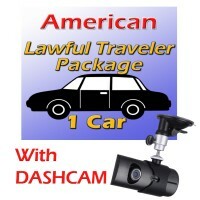 Freedom from Government “Lawful Traveler Package” license plate replacements. NEW ALUMINUM TAGS NOW IN STOCK! 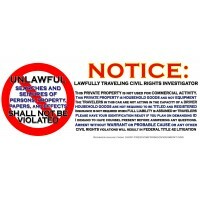 "We hold, therefore, that a random stop of a motorist in the absence of specific articulable facts which justify the stop by indicating a reasonable suspicion that a violation of the law has occurred is constitutionally impermissible and violative of the Fourth and Fourteenth Amendments to the United States Constitution. It follows that a random stop solely for the purpose of a documents check is an unreasonable and unconstitutional detention of those in the stopped vehicle. Because the stop in the present case was arbitrary, and not based on justifying facts, it was illegal, and the evidence gathered as a result of the stop must be excluded from defendant's trial. The Superior Court order granting defendant's motion to suppress was correct as a matter of law. 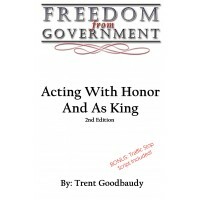 The first of such questions may very well be – If the States have been enforcing laws that are unconstitutional on their face, it would seem that there must be some way that a state canlegally put restrictions, such as – licensing requirements, mandatory insurance, vehicle registration, vehicle inspections, D.W.I. roadblocks, to name just a few, on a Citizens constitutionally protected right. Is that not so? 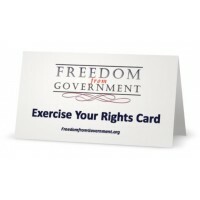 And as we have seen, “traveling freely,” going about ones daily activities, is the exercise of amost basic right.